This is a well illustrated guide to Wireshark network protocol analyzer. 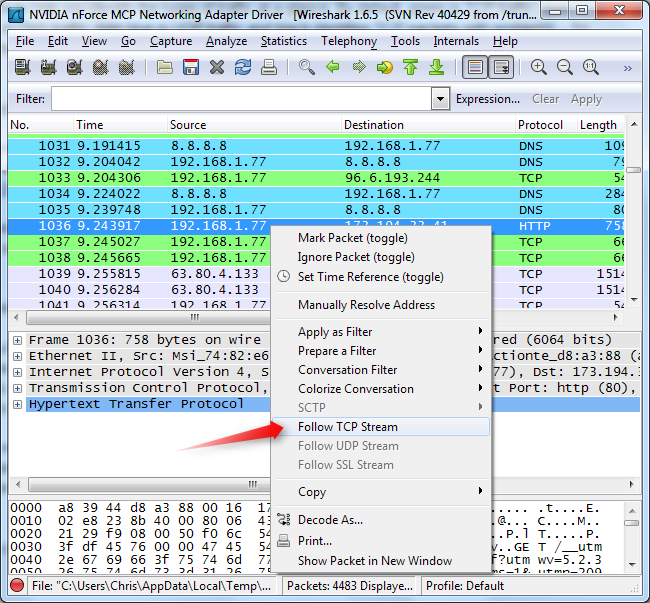 You can find a list of sample captures to analyze with Wireshark. This guide also presents about following a TCP stream of a packet, this way analyzing the conversation and the packets sent between you and a particular location on the internet.